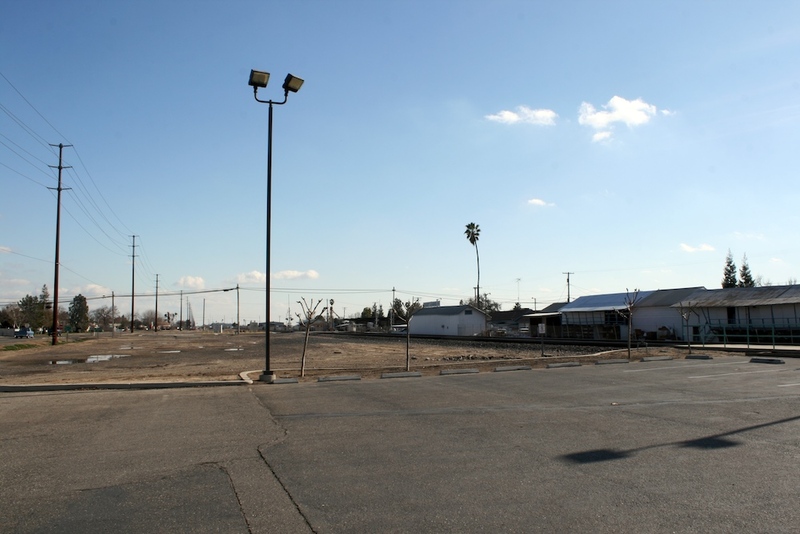 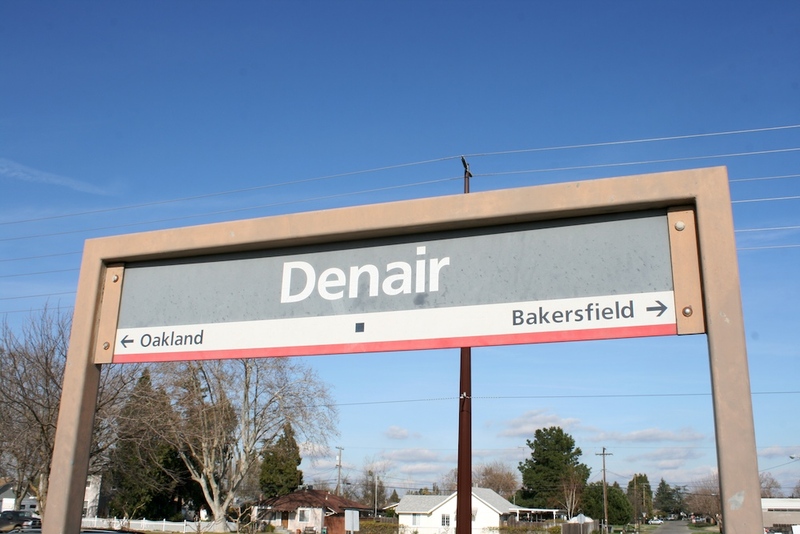 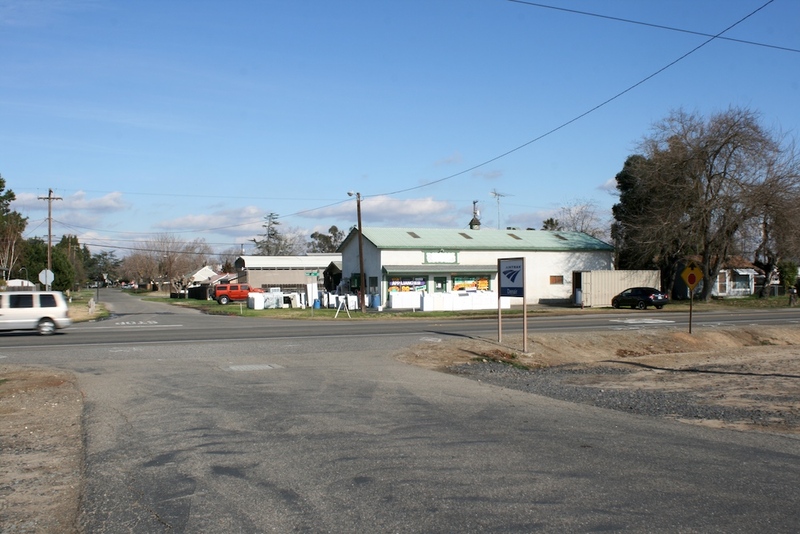 The Denair Station serves the town the station is in of 4,000 people but more importantly the nearby (2.5 miles from the nearest fixed-route BLST, Bus Service of Turlock Stop) city of Turlock, the stops secondary name and even what the stations code, TRK is derived from. 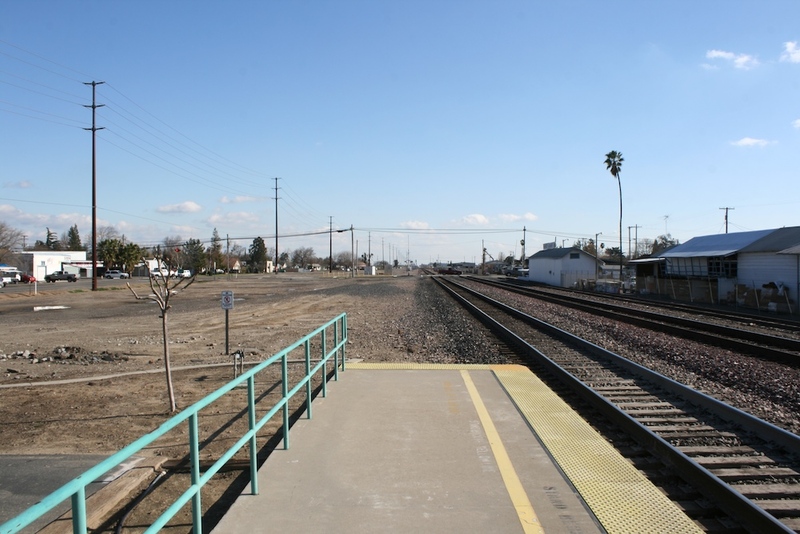 This city has almost 6,000 people and home to , California State University, Stanislaus. 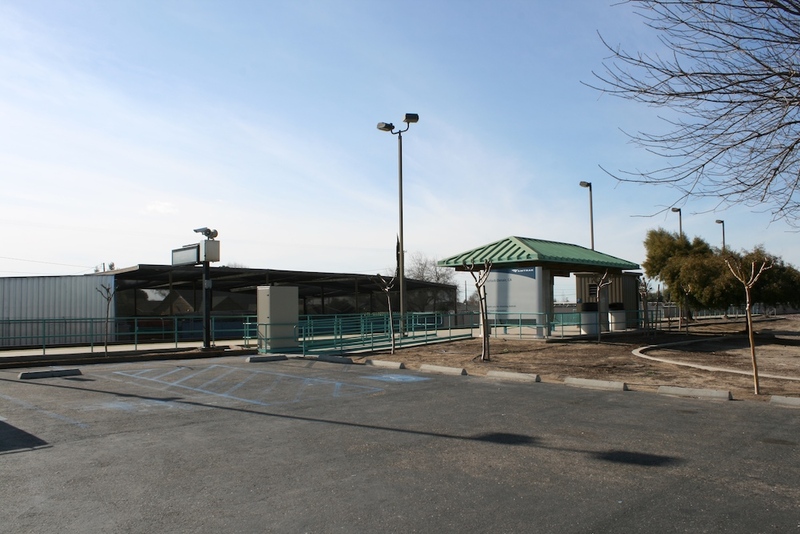 Public transportation is provided into this city by Dial A Ride Turlock (DART) open to the general public for $3.50. 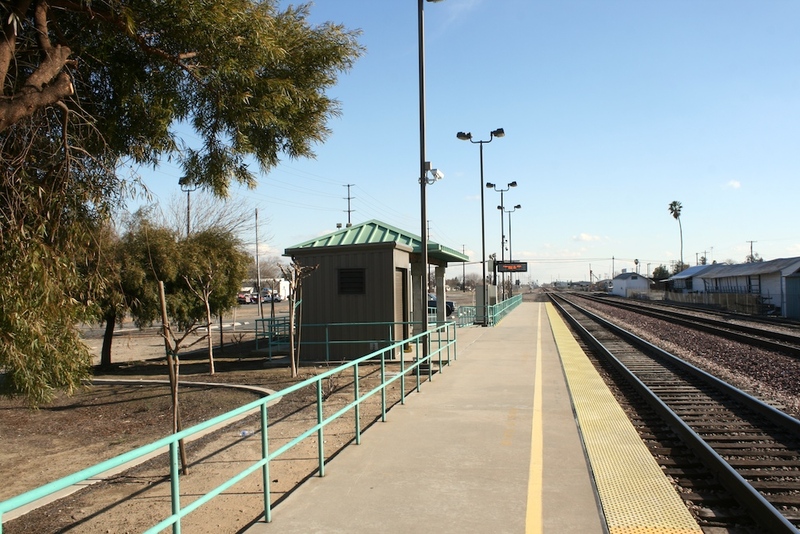 This connecting service even warrants its own note in the Amtrak timetable (and has since the stop began in 1987) The two different towns exist because of railroad development: Turlock around the Southern Pacific, whose station is now a restaurant and much smaller Denair along the ATSF where Amtrak stops today. 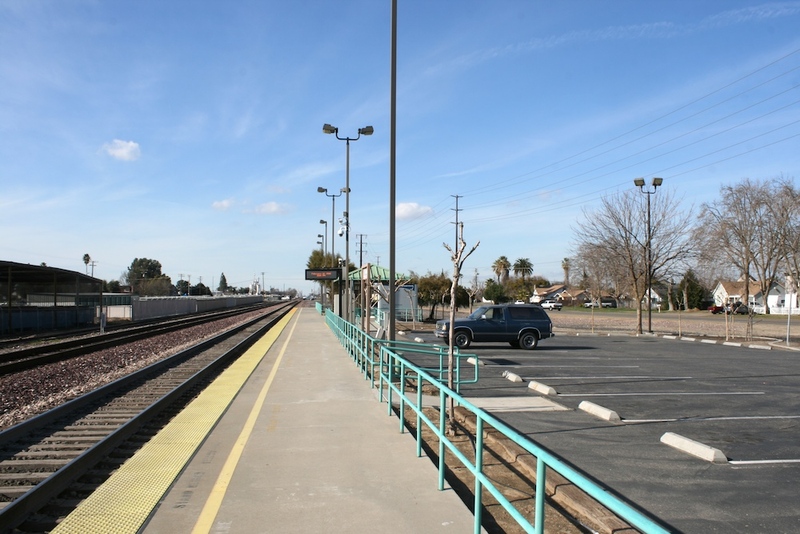 Today's station, served by the six daily San Joaquin round-trips and trains opened sometime between April and October 1987 and consists of a single side platform along 3 tracks since Turlock is also a railway siding. 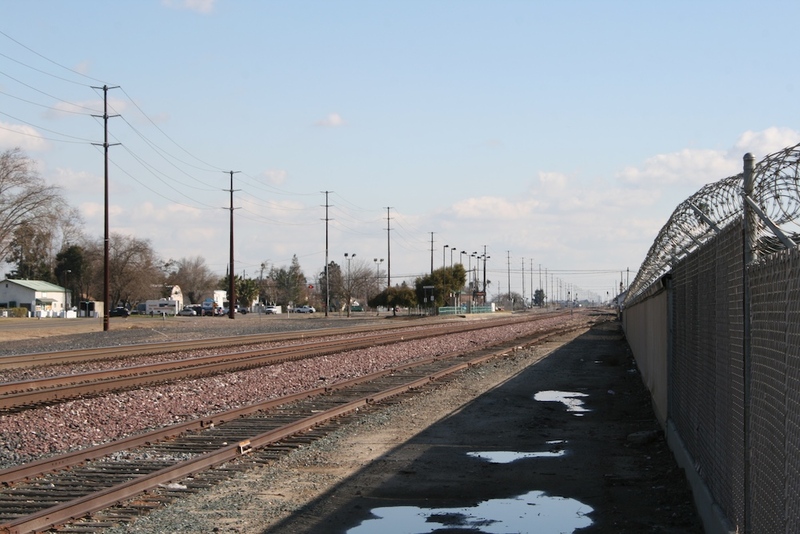 This is the standard long low-level California length to allow level-boarding with the doors of the California cars. 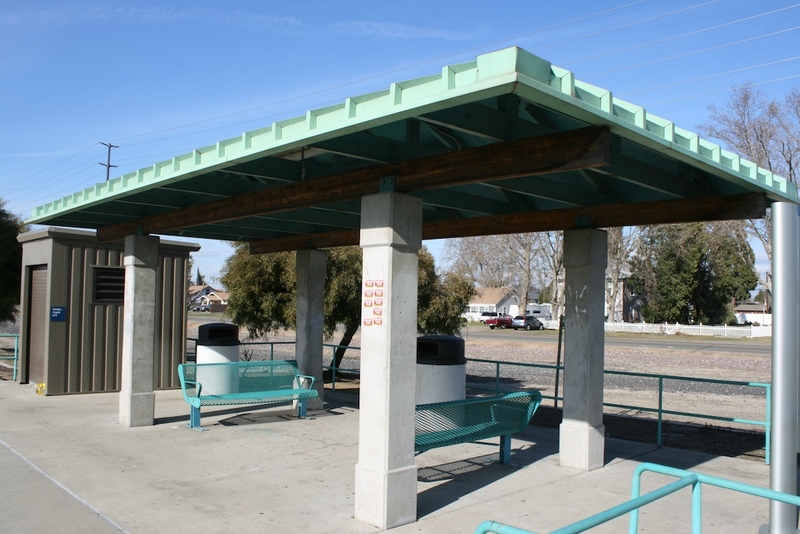 The platform has a simple green railing along its opposite side and a single green roofed shelter held up by concrete columns with two green benches beneath set back from the actual platform near its midsection. 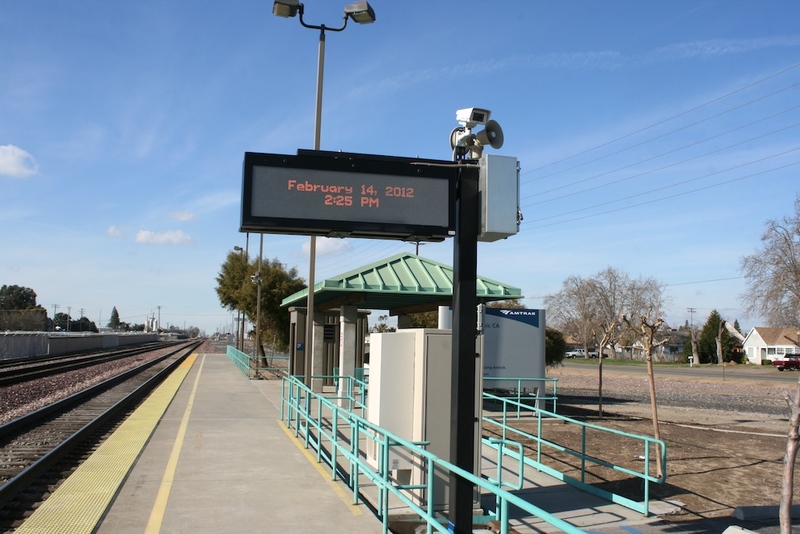 A modern LED display and announcement has system has been installed that displays and announces eta's for trains a half-hour from scheduled and until actual departure There are two older generation (mid-90s probably) 'Denair' signs held up by metal with arrows to Oakland and Bakersfield beneath and a lower red line. 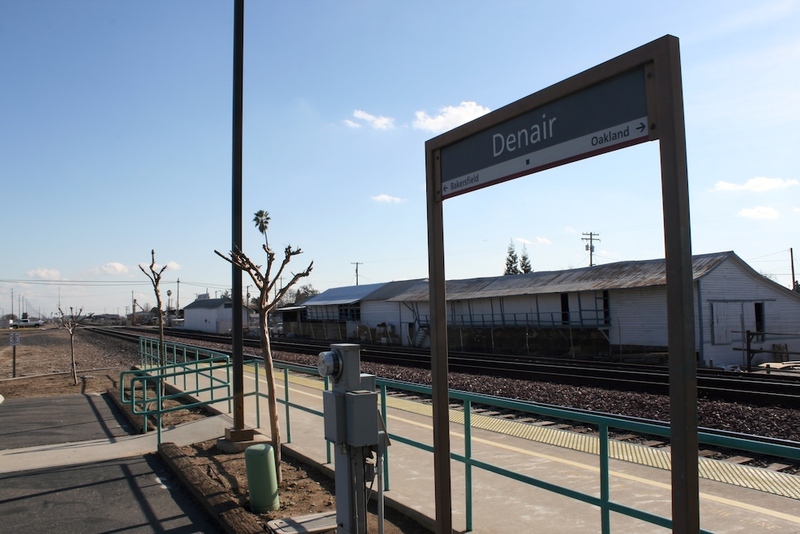 At the northern end of the platform is a white Denair railroad siding sign. 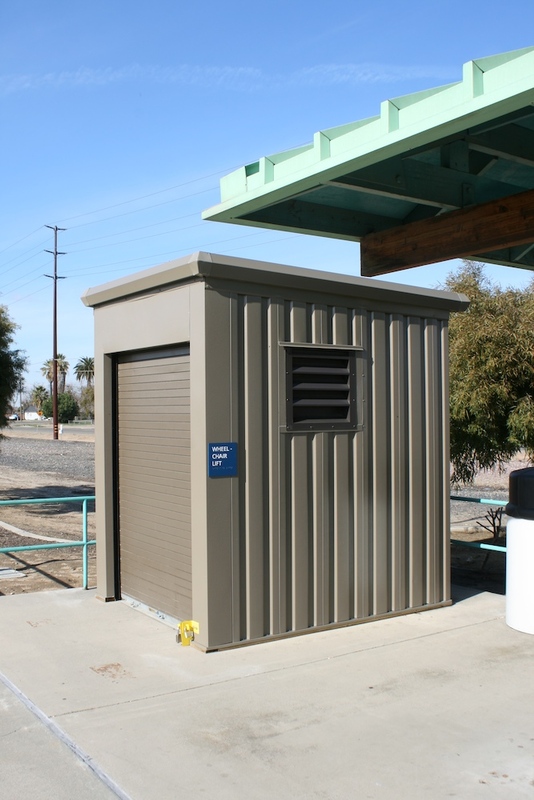 Next to the shelter, a modern brown modular wheelchair lift enclosure has been installed (like at most Amtrak stations) and a modern information panel for the unstaffed station. 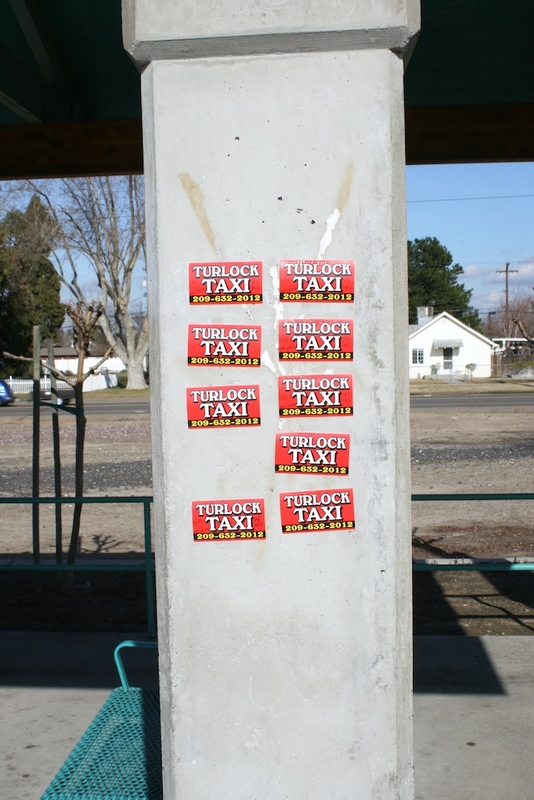 The name on top reads 'Turlock-Denair, CA' This single canopy is right next to the ramp that leads down to the small 8 space parking lot. 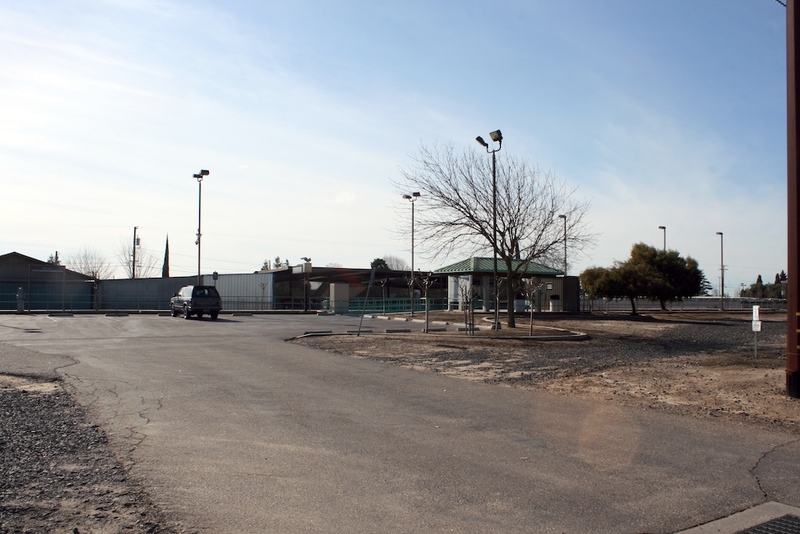 There is also another little ramp down to the parking lot. 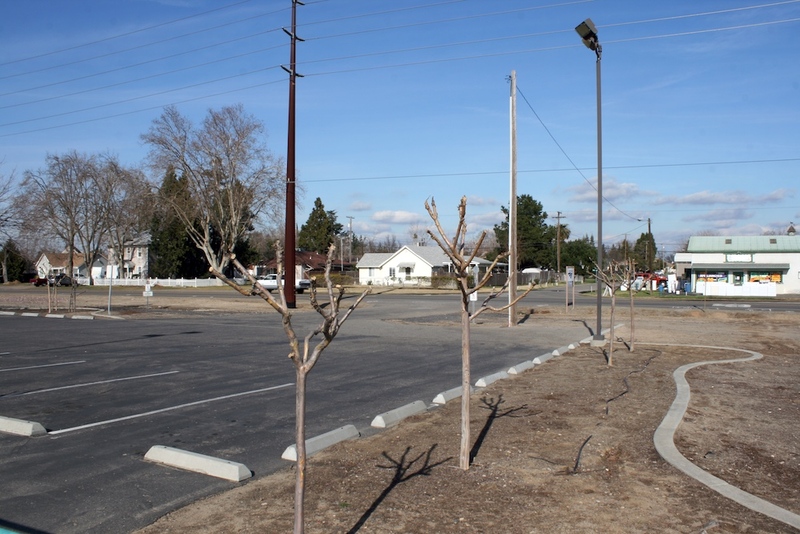 The parking lot leads to the station's sidewalk-less access road out to Santa Fe Avenue across from the end of Elm Street. 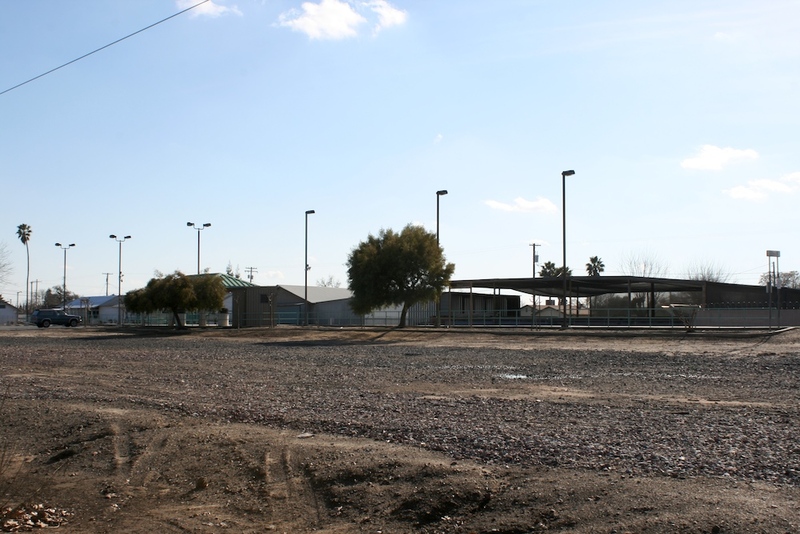 The area surrounded the platform and parking lot is a gravel field with a few planted trees. 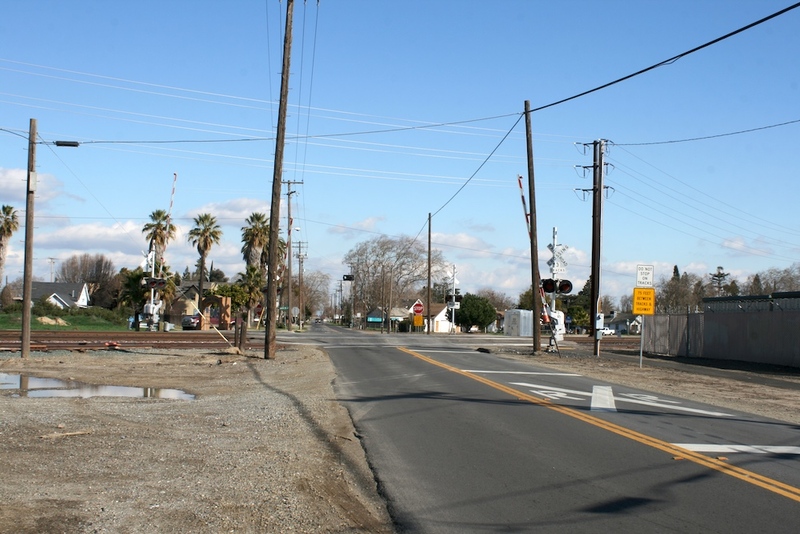 Main Street (and its grade crossing across the tracks) is one block south. 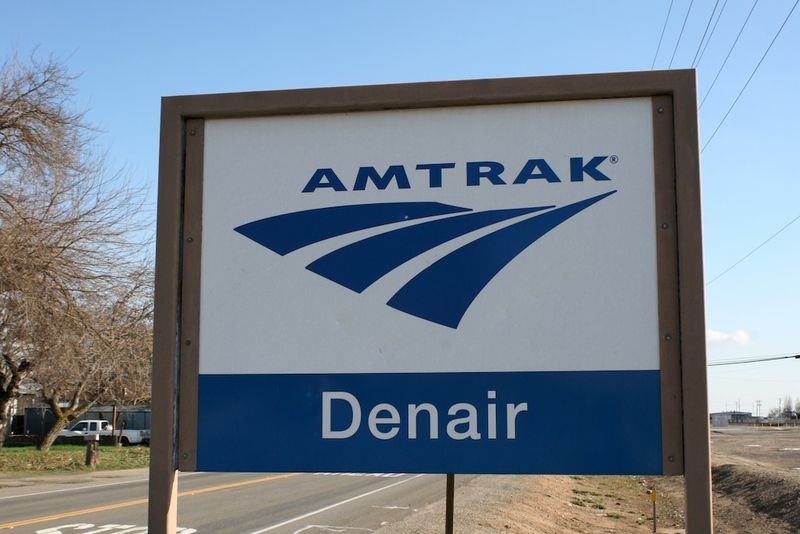 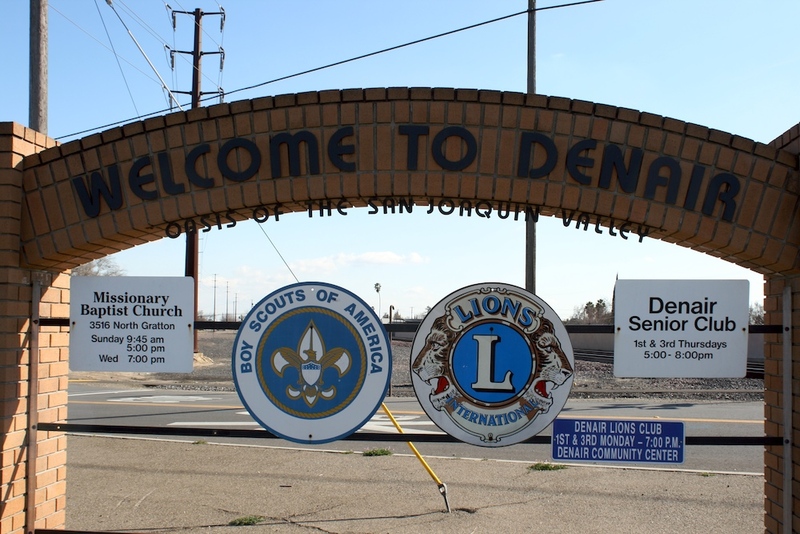 At the driveway entrance is a modern logo sign that has the new Amtrak logo above Denair written in white on blue. 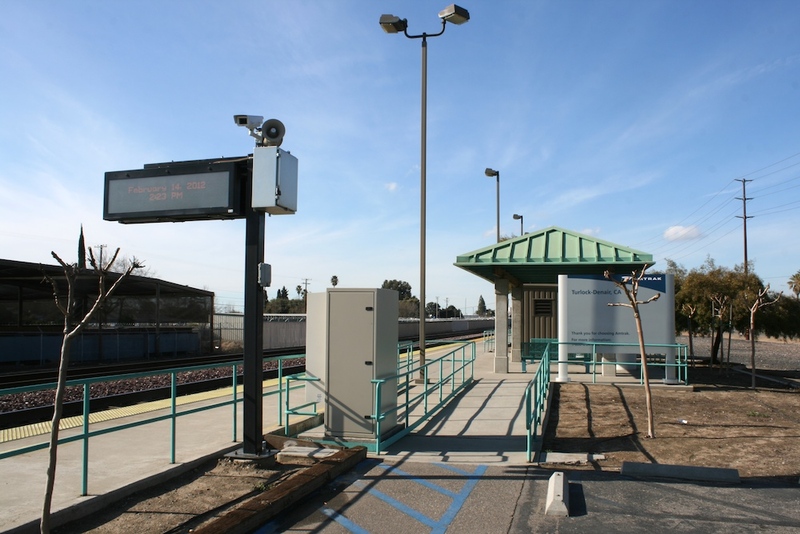 This website is not affiliated with Amtrak California, their official website is here, A source I have used countless times while compiling this section is Amtrak's Great American Stations as well as Timetables.org where all historical train information comes from.